Keep your friends close...and your enemies closer. Rachel Clancy has had to learn the hard way that you can't always trust who you know. Born with a specific set of genes that lets her fight monsters, Rachel has trained her entire life to kill vampires and werewolves. Unprepared for the level of deception and betrayal she faces as she journeys Upwards to battle her enemies, it's not long before Rachel finds herself on a quest that will alter the lives of everyone she knows. 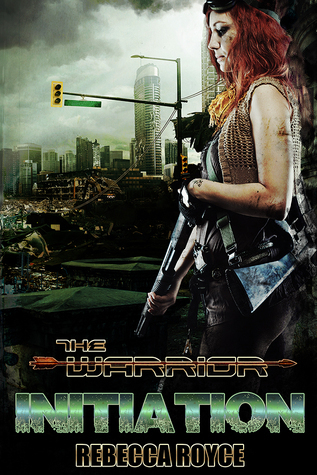 Sixteen-year-old Warrior Rachel Clancy lives in a post-apocalyptic world where humankind was almost wiped out thirty years before she was born because of werewolves and vampires. This end of the world moment is known as Armageddon. In this apocalyptic world, some humans have a special gene, and these Warriors are relied on to kill these monsters and keep the non-Warrior human safe. Rachel was supposed to go out with others her age but was gets sent out on an unprecedented Upward. The Upward that is unprecedented happens because of Dr. Isaac Icahn who suggested it. He's known and viewed as the man who saved humankind from dying out by discovering the Warrior gene. Rachel was expected to die from this Upward which was a revenge plan for Dr. Isaac Icahn because Rachel’s father allowed Isaac’s daughter to die. While Rachel is out, she gets, attacked by some vampires. She was about to die when a werewolf kills the vampires. She ends up making it to her destination but ends up being knocked out. She wakes up to a handsome werewolf and one of his sisters. While Rachel is with her is with these werewolves she starts questioning if werewolves are really the enemy. She also learns that someone she knows might actually be the one behind Armageddon. I am first going to state the ONLY thing that almost stopped me from continuing. First, I want to say is that I was almost not going to finish because I liked the main love interest and at one point I thought I wouldn’t be happy with the way it was going. Though I am so happy I continued to read it because I ended up wanting the main love interest to be someone else. I had a feeling the person who I am rooting for now would be a potential and I, am so happy they are. That was the only reason why I would want to stop, but I loved every other moment. The main character Rachel I like as a character, but her only flaw is that she is naive when it comes to love. Being naive usually bothers me but she is only sixteen so, it didn’t bother me as much. Actually, I think it helped the story in a way with how it ended and also it showed that she still has much to learn and grow as a character. Not just a sixteen-year-old who doesn’t have much room to grow and learn as a character. Now onto Jason the main love interest. In the beginning, I rooted for him and at one point was worried that they wouldn’t be together. Though I got to a point, when I stopped rooting for him, and I was hoping she wouldn’t want to be with him. I am now rooting for someone else, and his name is Chad, who I can’t wait to see more of in the next book. For Dr. Isaac, I don’t like him, and I will never like him as a person. Though I do like him as the antagonist and I do wish to see more of him. There are other characters I can go on about but I won’t. I love the idea of this post-apocalyptic world and the story that goes with it. I definitely want to continue this story, and I hope to see more action and romance too. I think Rebecca Royce did an awesome job on this and I think she did an awesome way to end this book of Rachel’s story. When I am about to stop I usually don’t get pulled back in but with this book, I ended up pulled back in, and I want more. 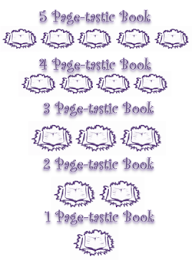 I am honest when I write my reviews, and I give this book five stars. You might be wondering why I might be giving five stars even though my opinions of Rachel and what caused me almost to stop. Well, the reason why is because to me being naive is a necessity and I actually liked it because Rachel’s character should be naive in some category of her life. She is 16 and love should be the category. Then the relationship with Jason I was able to be pulled back in which is an accomplishment. Since usually when I check out I am out. So those two accomplishments give the rating bonus points. So excited to continue.